All over, my skin is parched and cracked. My hands feel as if their skin is one glove size too small. My lips chapped and peeling. I wear a crown of various colour dust each new day. Tsumeb, apparently the very first mining town, is quaint but cold. Biting cold at night. 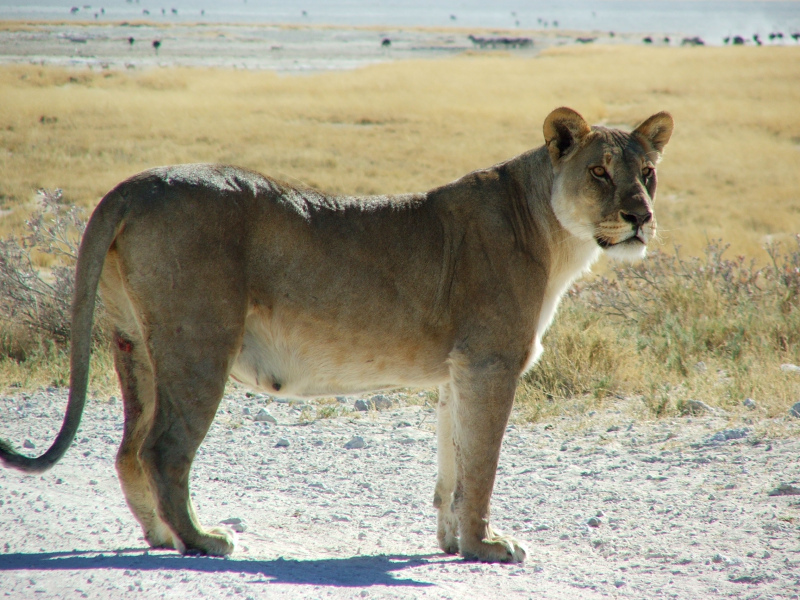 This town a stepping stone for Etosha National Park. And once we pass the Von Lindquist gate we find the residents have adapted for this harsh climate Elephant, Lion, Oryx and Springbok, all desert adapted. 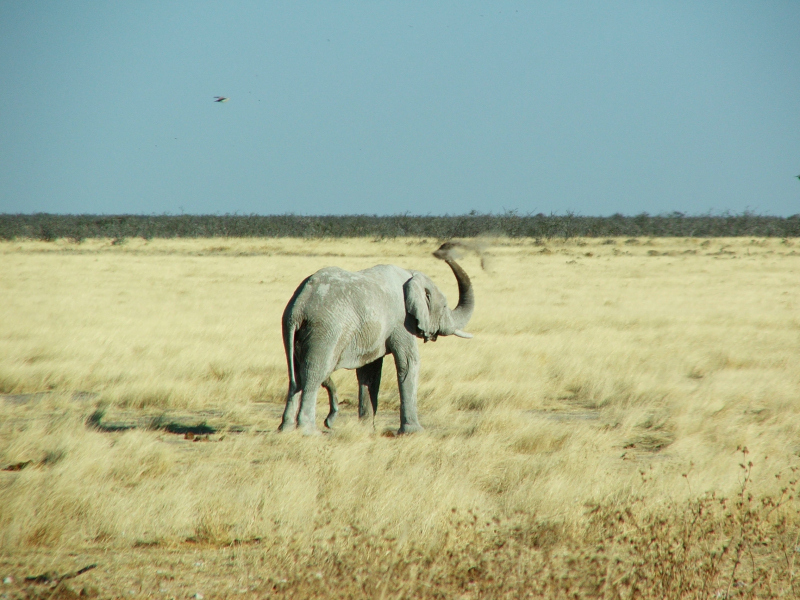 Most large game here sport a distinct ashen colour from the dust that kicks up off Etosha Pan from it’s tornadoes white salty squall. We move into the place that the Bushmen call “ the place that God made in anger”. For us it’s like hell without the heat. 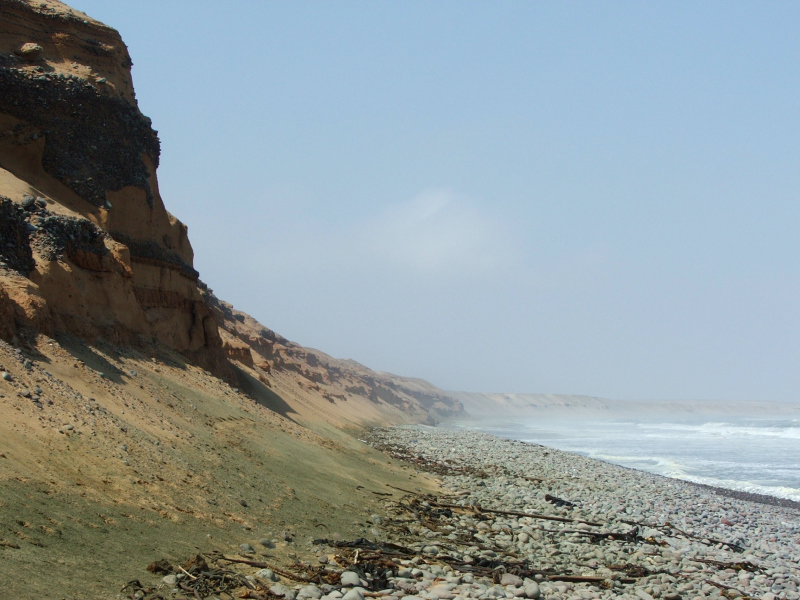 The Atlantic Ocean on this Skeleton Coast is colder than I can ever remember with wind like swords that numb the knuckles and dagger the ears. Nearby a Strandwolf searches in the sun-shimmer for carrion. A Cape Fur Seal’s bleats may be his last, I fear. Towns here are as stark and welcoming as Antarctic outposts. The mountains seem to float on the cold early morning fog like giant battleships ran aground. 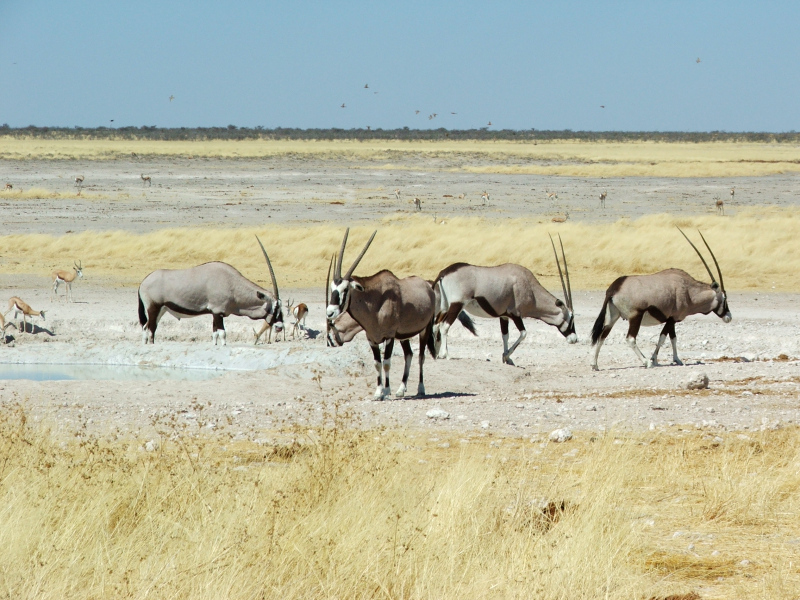 Namibia is elemental. 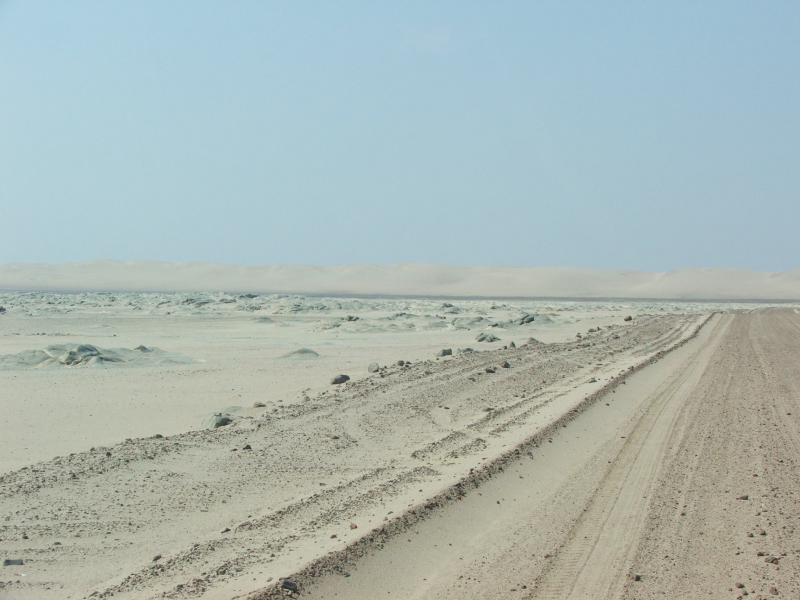 Its landscapes, more like Moon or Mars-scapes are, like no other in Africa. 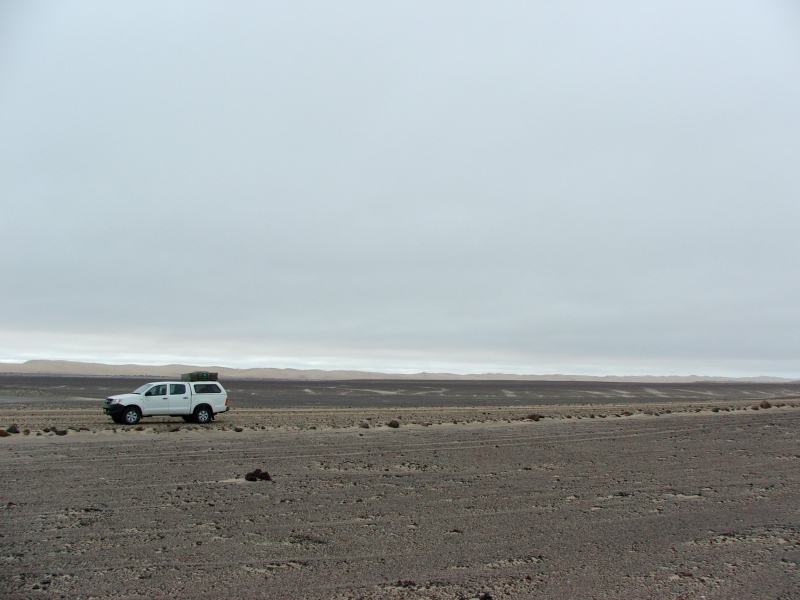 The wind on the Skeleton Coast like no other I’ve experienced on this trip. It’s not just the daytime heat here, it’s the dryness – instant evaporation. 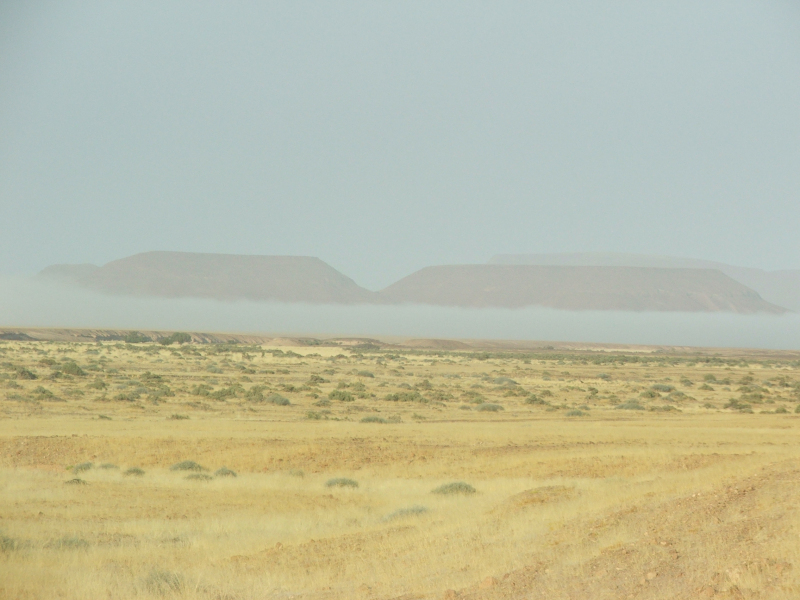 And at the end of it all are Namibia’s waters. 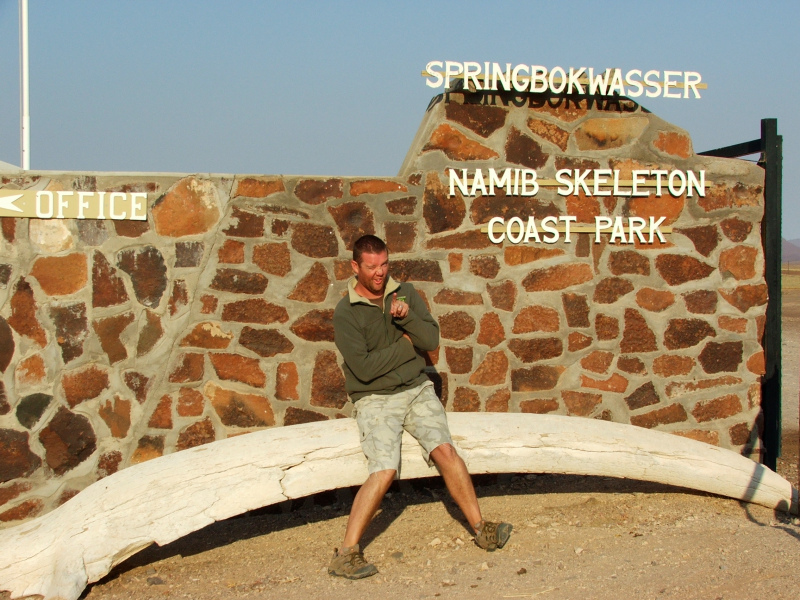 A huge coastline and massive rivers, such as the Kavango, bringing it all back to life. And this is just the north – in Gods country.